The term "liver disease" applies to many conditions that stop the liver from working or prevent it from functioning well. Abdominal pain, yellowing of the skin or eyes (jaundice), or abnormal results of liver function tests may suggest you have liver disease. Amebic liver abscess is a collection of pus in the liver in response to an intestinal parasite called Entamoeba histolytica. 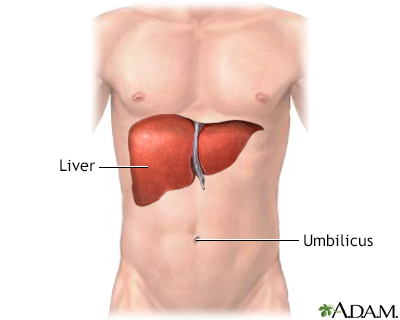 Biliary atresia is a blockage in the tubes (ducts) that carry a liquid called bile from the liver to the gallbladder. Valley fever is an infection that occurs when the spores of the fungus Coccidioides immitis enter your body through the lungs. Hemochromatosis is a condition in which there is too much iron in the body. It is also called iron overload. 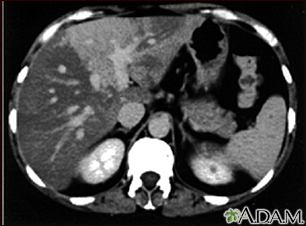 Pyogenic liver abscess is a pus-filled area in the liver. Pyogenic means producing pus. 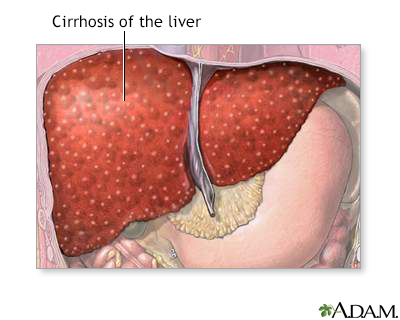 Sclerosing cholangitis refers to swelling (inflammation), scarring, and destruction of the bile ducts inside and outside of the liver. Anstee QM, Jones DEJ. Liver and biliary tract disease. In: Walker BR, Colledge NR, Ralston SH, Penman ID, eds. Davidson's Principles and Practice of Medicine. 22nd ed. Philadelphia, PA: Elsevier; 2014:chap 23. 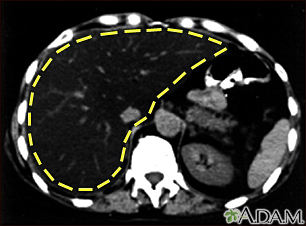 Martin P. Approach to the patient with liver disease. In: Goldman L, Schafer AI, eds. Goldman-Cecil Medicine. 25th ed. Philadelphia, PA: Elsevier Saunders; 2016:chap 146.